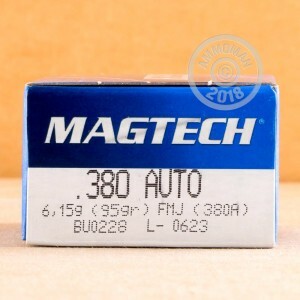 Perfect for range training and target practice, Magtech's 380 ACP ammunition combines affordability with reliability. For a more economical-friendly option, each cartridge is designed with a full metal case bullet. These FMC bullets also shoot cleaner, preventing "leading" in the barrel of your semi-automatic. 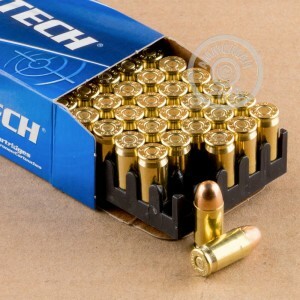 Magtech has built a reputation among dedicated shooters all over the world for its high-quality and affordable ammunition. Since its beginning in 1926, Magtech has grown into a "go-to" company and distributes products in over 50 countries around the globe. 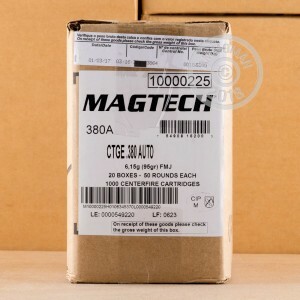 By combining innovative techniques, cutting-edge technology, and the highest quality components, Magtech continues to deliver on their promise of high standards!